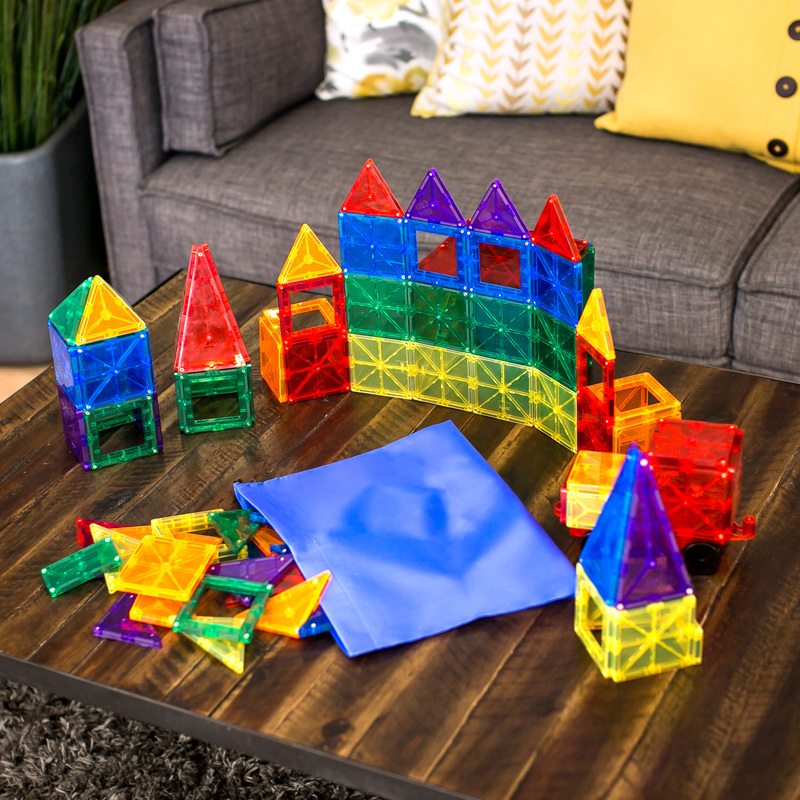 Give your little one a fun toy that lets them enjoy learning! 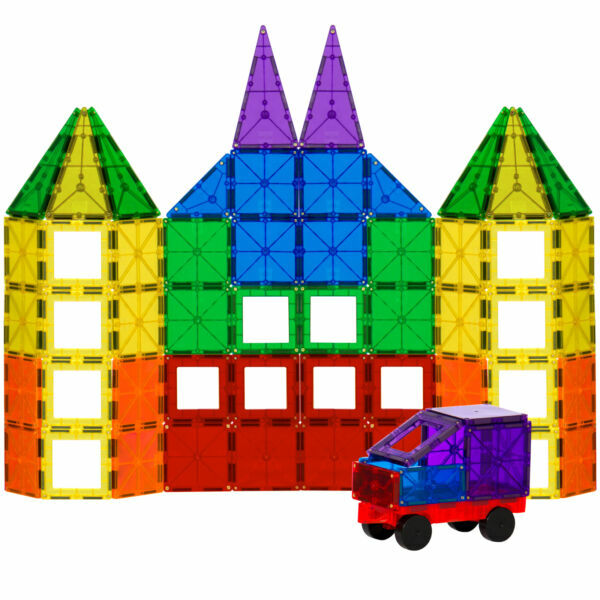 This 100-piece set of magnetic building tiles is perfect for developing children's creativity! 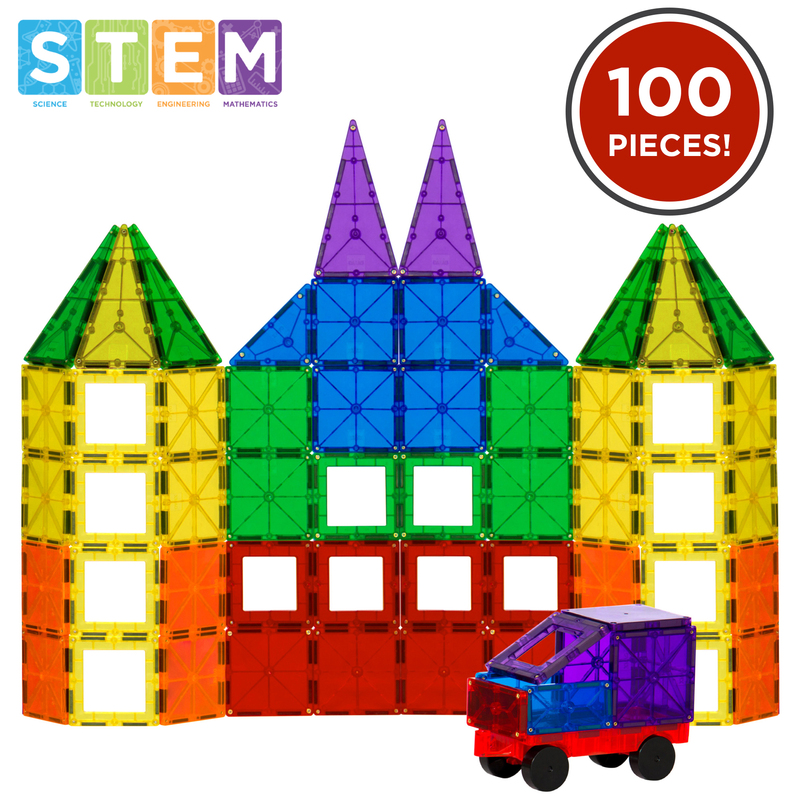 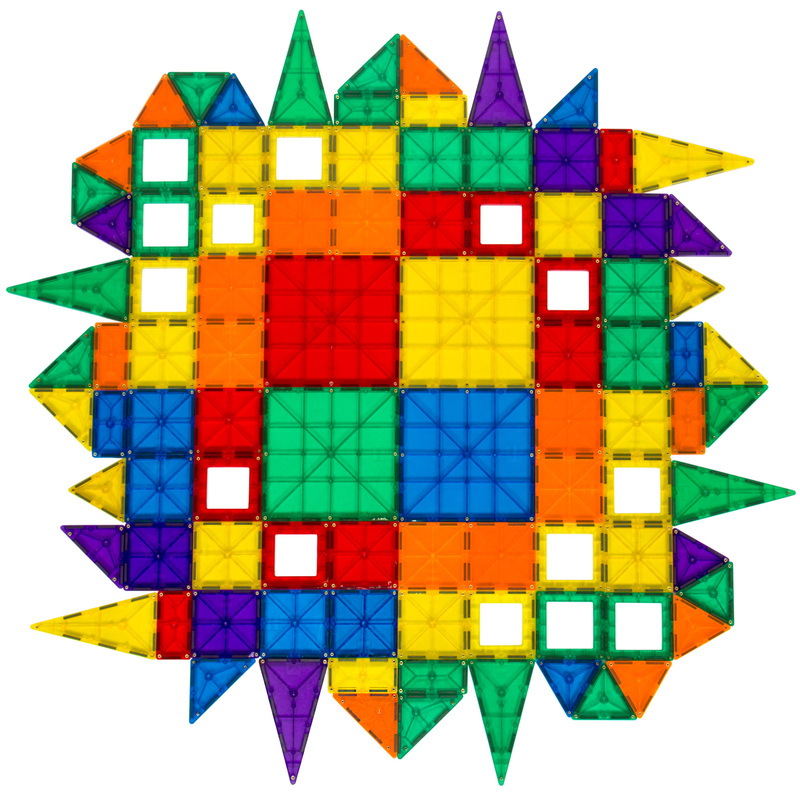 Ideal for building tall towers and countless other cool structures, it stimulates imagination, develops problem-solving and motor skills, and helps with learning shape recognition. 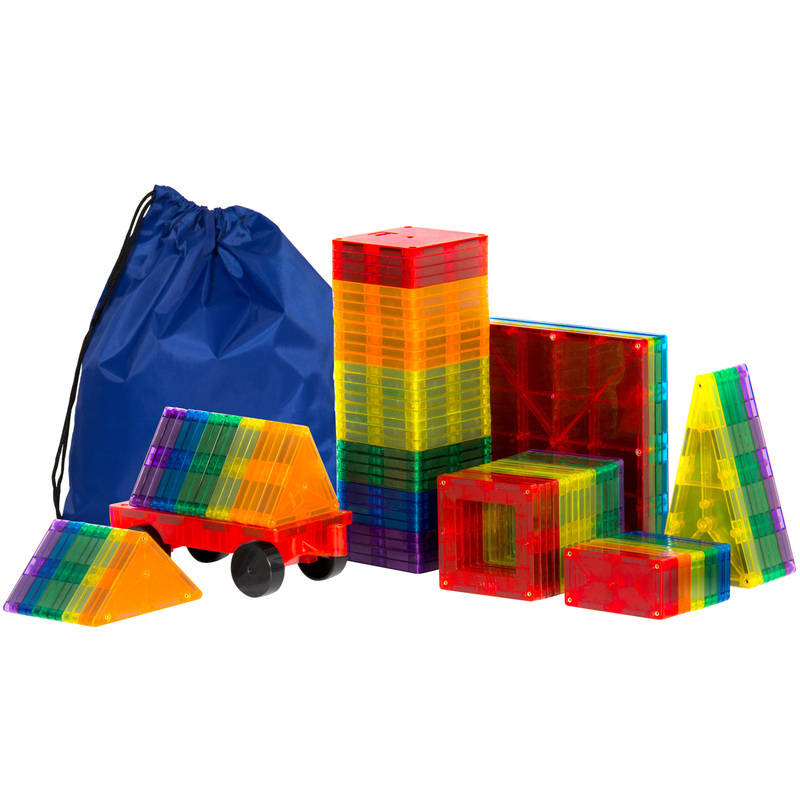 With these magnetic pieces, entertainment and education are one and the same! 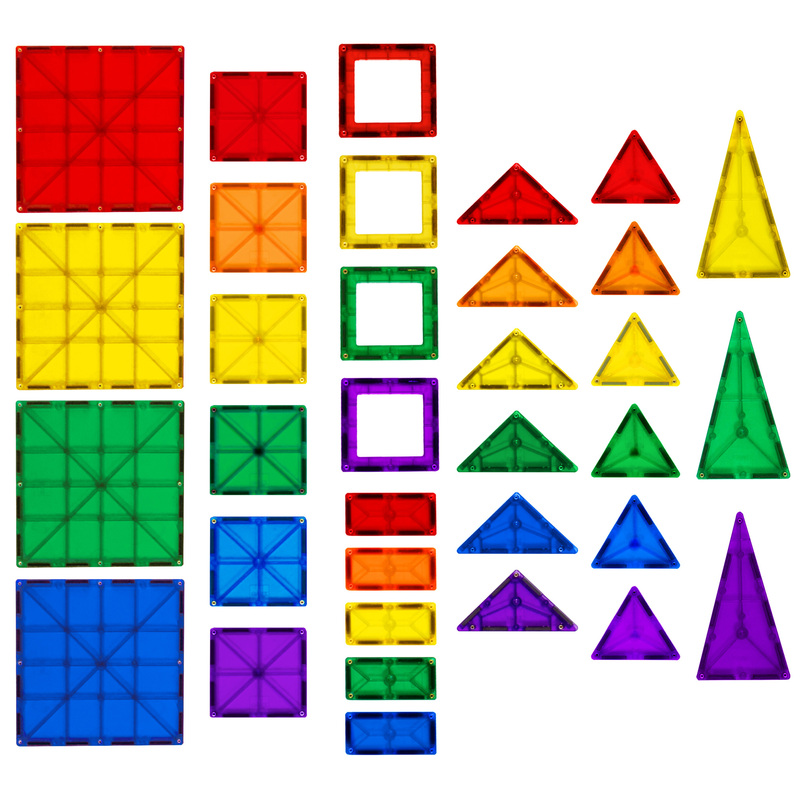 Included car base and 7 different shapes create towers, cars, and much more!